We’re so intrigued by how this maybe-couple is doing now. 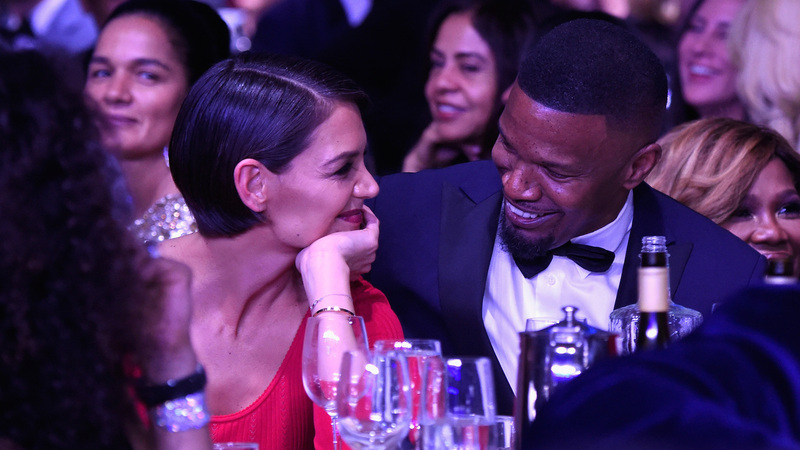 Just last month, Jamie Foxx declared himself single to a crowded room of fans, but on Monday, he and rumored partner Katie Holmes were spotted strolling through Central Park together, per photos published by the DailyMail. These two have reportedly been together for years, though they only started showing more PDA last summer — and now we’re wondering what’s up with the status of their relationship. According to the DailyMail, Holmes and Foxx bundled up for a walk together and even went to the Metropolitan Museum of Art. Per photos, they could be seen chatting, though there was no hand-holding or other PDA. The pair was often spotted kissing and canoodling in the past. It should be noted that neither Holmes nor Foxx has ever publicly commented on their relationship, aside from Foxx’s declaration of his single status in February. According to reports, Foxx nonchalantly said he was single during a half-hour performance at the third annual Entertainment Studios Oscar Gala Supporting Children’s Hospital Los Angeles. He and Holmes went on vacation together in Miami around New Year’s Eve, making this declaration seem suspect at the time. These new photos only add to the confusion. Perhaps Foxx said he was single to get some extra privacy? Or, perhaps, the pair’s New York City outing on Monday was more friendly than romantic. We’ll never really know unless one of the involved parties comments, which doesn’t seem likely given their track records, both individually and as an apparent couple. We’re definitely hopeful that things are good between these two.